"Please note: All tracks found on the Ocean Sounds album can now be purchased on the Waterfalls, Oceans, Rain, Thunderstorms album. 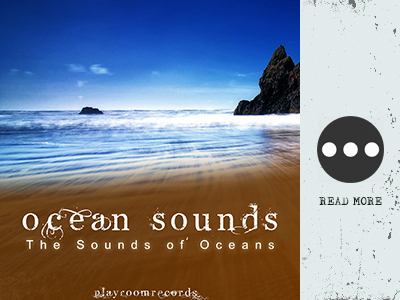 The Sounds of Oceans is a collection of high quality recordings of ocean/beach sounds. Day At The Beach includes the sounds of children playing in the distance and seagulls flying above on a warm afternoon in September. Ocean At Dawn and Ocean After Dark were recorded at a secluded remote beach in early Autumn. Special attention was placed on the recording process using only the finest audio equipment to capture the aura of the surroundings in great detail. Over 210 minutes of ocean sounds! (10 Minute and 70 Minute Extended MP3 files (for each track) included. Great for relaxation! Recorded in stereo / hi def digital audio."